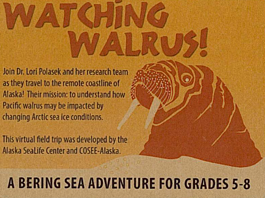 Join Dr. Lori Polasek and her research team as they travel to the remote coastline of Alaska to study walrus! 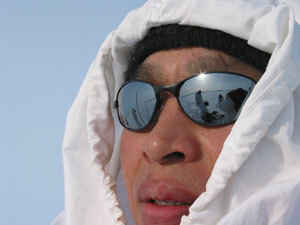 Their mission is to understand how Pacific walrus may be impacted by changing Arctic sea ice conditions. 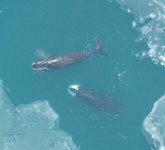 This virtual field trip was developed by the Alaska SeaLife Center and COSEE-Alaska. Available online or on CD-ROM. Click on "MORE" for link. Coastal communities have existed in Alaska for thousands of years and the knowledge of human interactions with the arctic environment is contained within those communities. Western "modern" science, however, has only recently (within the last 100 years) begun to quantify the interactions of humans and the environment in Alaska. We're a center in the national network of Centers for Ocean Sciences Education Excellence COSEE, aimed at helping ocean scientists reach broad audiences with their research. We're a regional center (Alaska) with a theme of People, Oceans and Climate Change, focused on weaving together traditional knowledge and western science to share place-based knowledge of ocean climate change in the north. COSEE Alaska is a close-knit team of ocean scientists, communicators and educators from the Alaska Ocean Observing System, University of Alaska Fairbanks School of Fisheries and Ocean Sciences, UAF Center for Cross Cultural Studies, Alaska Sea Grant, and Alaska SeaLife Center. 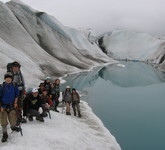 We engage ocean scientists, teachers, informal educators and community members in the region in a broad range of programs, including statewide ocean science fairs, teacher workshops, expanded Communicating Ocean Science Workshops and hands-on sessions for scientists at the Alaska Marine Science Symposium, plus distance learning and virtual field trips through our website. Working closely with ocean scientists, educators and coastal community members, COSEE Alaska seeks to enhance ocean and climate change literacy in formal and informal audiences and the public. 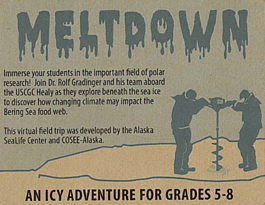 Link scientists, educators and coastal communities in Alaska and nationwide with emphasis on ocean climate change. Communicate western science and traditional knowledge about ocean climate change to Alaska and the nation. Increase participation in ocean sciences by underrepresented and under-served audiences. Provide tools and services to ocean scientists for effective outreach with focus on ocean climate change literacy. Enhance teacher capabilities for incorporating ocean climate change and place-based knowledge into curricula. Established in September, 2008, we held a workshop for coastal school districts to launch ocean science fairs. We also hosted a one-day Communicating Ocean Science workshop at the annual Alaska Marine Science Symposium, where more than 650 ocean scientists shared their research in Alaska’s seas. We created and support SEANET – a network of ocean scientists, educators, communicators and community members. For more information about COSEE Alaska, please contact Nora Deans at nora.deans@nprb.org, 907.644.6707.